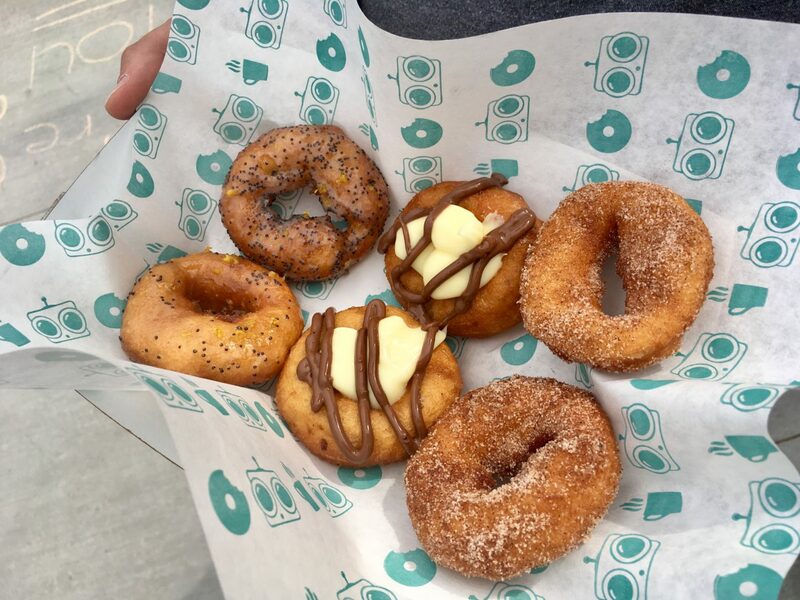 Wonderful news and terrible news all at once: there is a new doughnut shop in town. Welcome, FoCo DoCo! 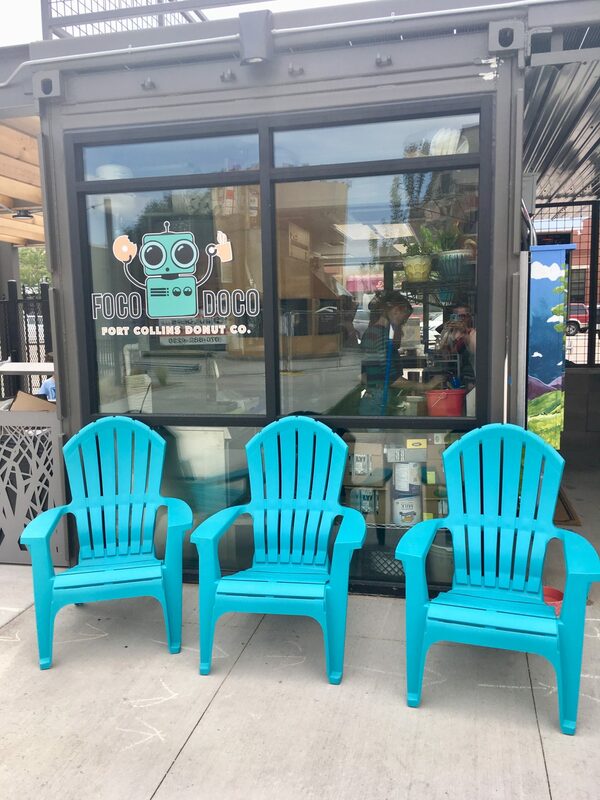 Situated in Old Town, FoCo DoCo is a very easy bike ride from our house: near enough that we can visit any time we want, and not far enough to burn off the calories over the course of the ride. Just what I need. 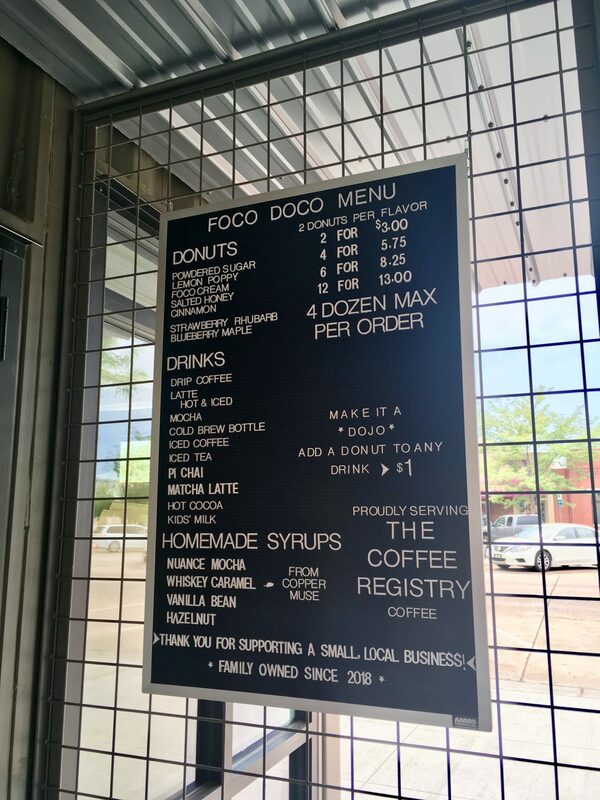 Dan and I had not yet stumbled upon amazing doughnuts in the area — nothing nearly in the realm of Holtman’s Donuts or Duck Donuts available back home. (Or, heavens, Sotto’s ricotta doughnuts that we treasured so much we had them served at our wedding reception.) I am the weirdo who does not care for icing, so I need an amazing cake doughnut. Dan, on the other hand, essentially orders icing with some fried dough as a necessary platform. 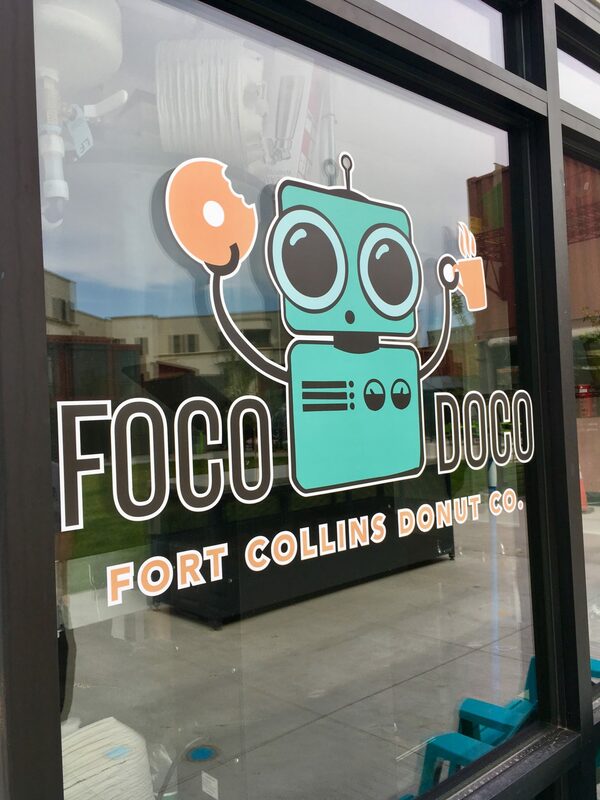 FoCo DoCo offers half a dozen styles, which they offer in pairs as the doughnuts are on the small side. 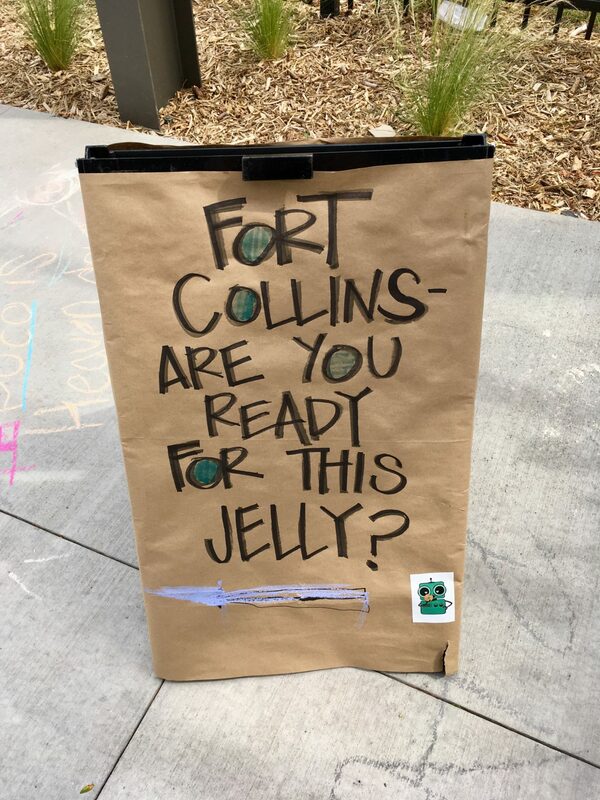 Welcome to town, FoCo DoCo. Next time I’m after your salted honey flavor and the seasonal flavor that I missed until I had already ordered, something with coconut. You’ll be seeing a lot of me.